So-called “Tomb of Horatii and Curiatii” on the Via Appia. This monument, built in the form of a square pedestal with four conical towers in the corners and a higher one in center raising above it, is in fact a late-republican building imitating the Etruscan tombs style. 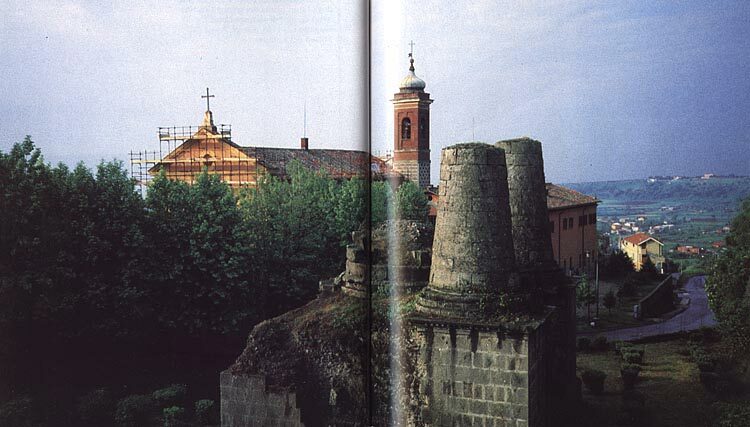 © Photo, text: GIOVANNI D’ANNA “LEGGENDE E TRADIZIONI DELL’ANTICA ROMA”, ARCHEO, N. 31, p. 36—37. Photo: L. Cecilia, Archivio Editing.